I have loved making these patchwork quilts for years, however due to the overwhelming popularity of my muslin line am in a situation where I do not have the time that it takes to create these special heirlooms. 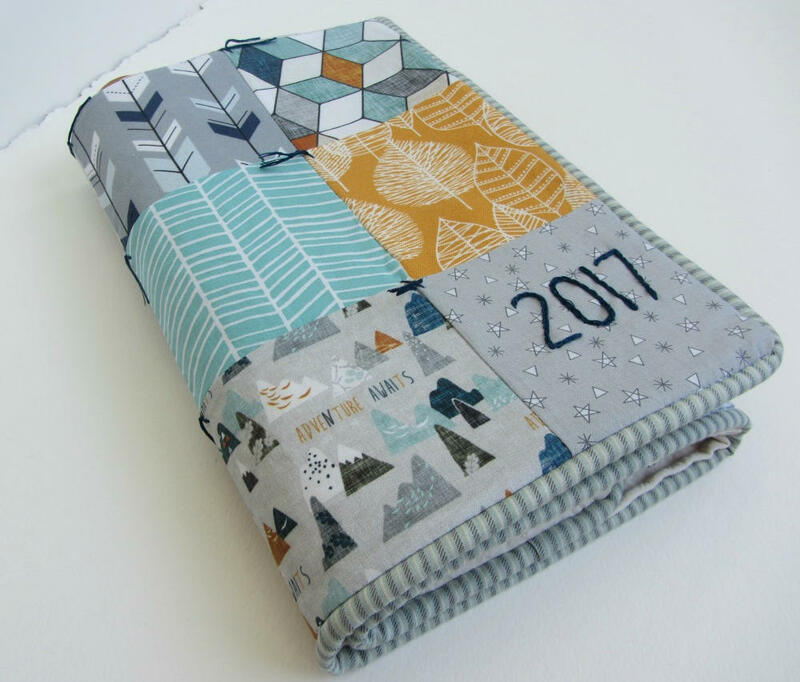 I know that I have customers that have been buying them for years, so will be open to creating a custom quilt in your colors and theme that you would like...but I have to raise my price to compensate for the time involved in the process. If you are interested, please contact me here and we can work out details! Inspired by the highest quality designer cotton fabrics, I wanted to create a unique piece that would be a classic heirloom. The backing is a soft natural white cotton diamond matelasse.The squares are machine stitched for durability and I then take the time to hand tie each square. 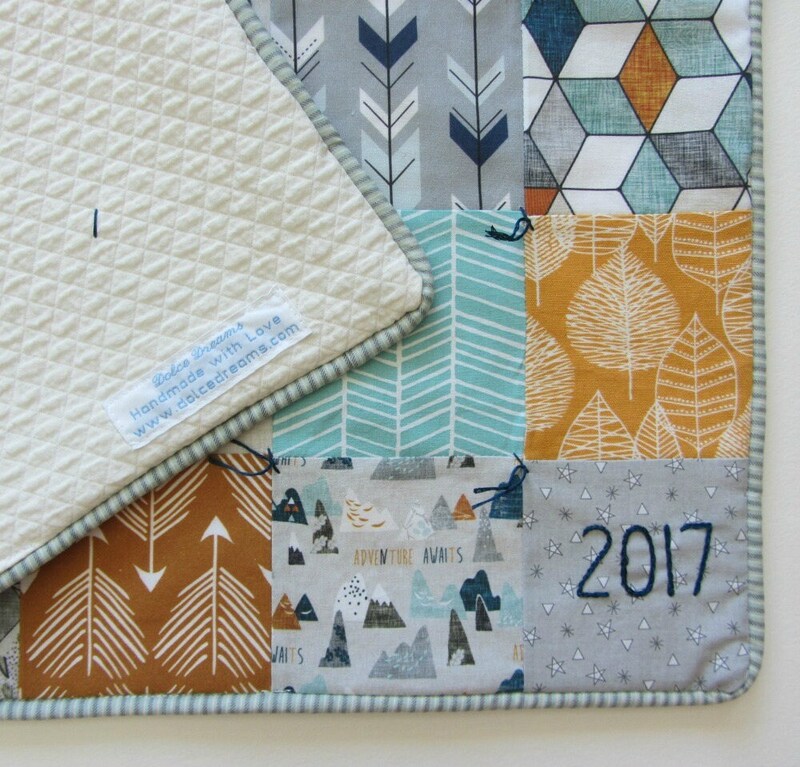 Your quilt can be customized with embroidery however you like, with name, or name and date. I have done many other variations. 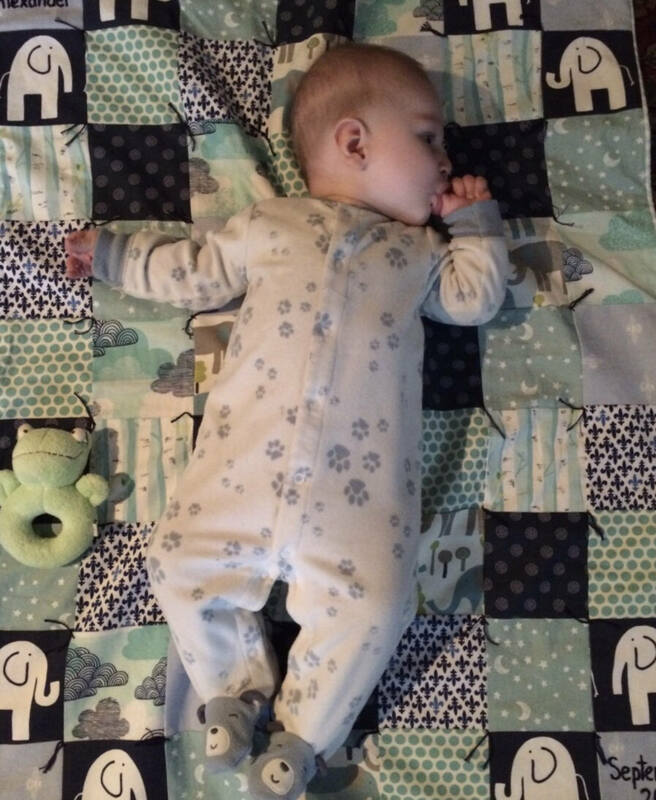 The 28" by 36" size is perfect for tummy time ( babies love to gaze upon the flow of designs and colors), a lap blanket, or a wall hanging. A truly beautiful gift to be treasured that stands out in a crowd! 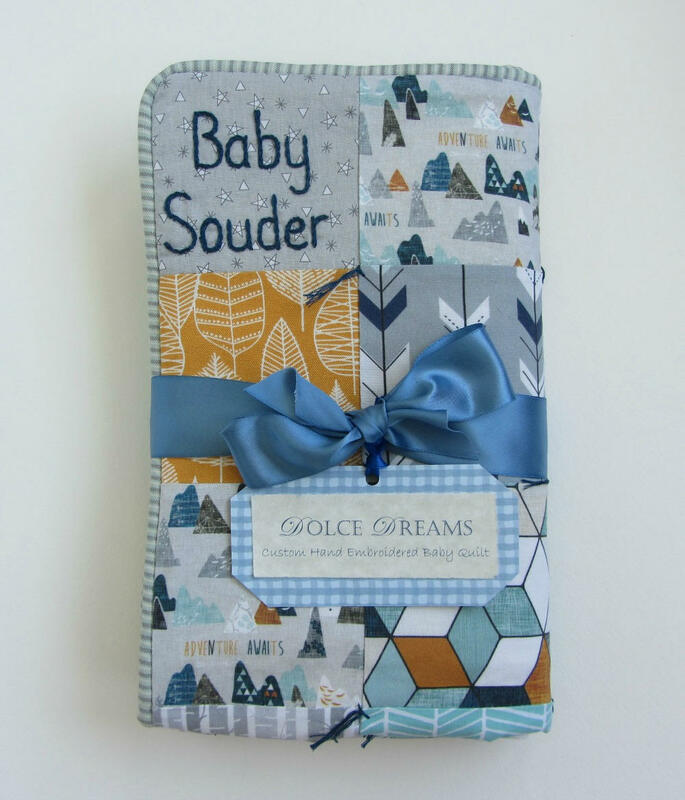 * As each quilt is made to order, please allow eight weeks for shipping. 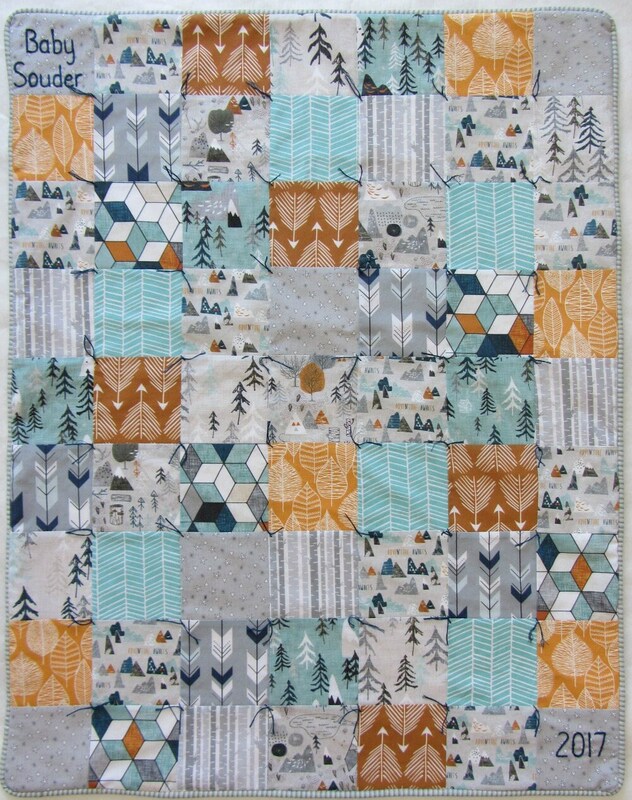 * Each quilt is unique due to fabric variations and hand crafting. * Machine wash warm and tumble dry low. Gets softer with each wash. Already prewashed. 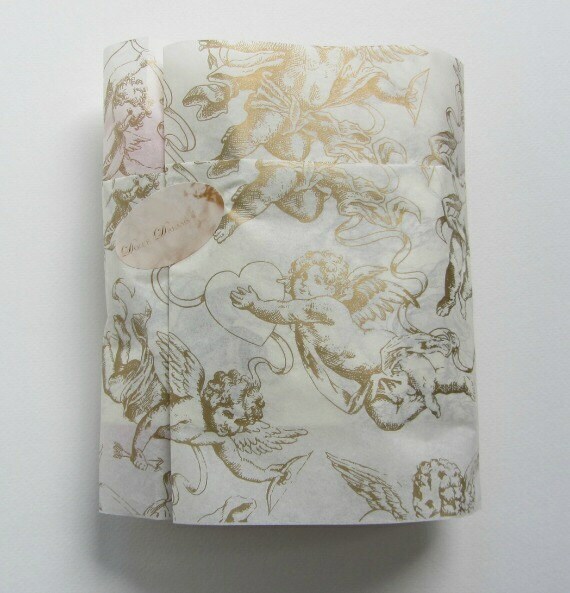 * Comes tied with ribbon, wrapped in gold angel tissue, ready for gift giving. * I do not use batting as it makes the quilt too heavy and warm for babies. They are lightweight, but still warm due to the high quality fabrics (no thin cottons here! ).